VCL Series Vertical Type Waterproof Limit Switches. The VCL series is waterproof vertical type limit switch that has two sets of SPDT built-in switches that can be used for 2 point detection or multi-circuit control. The center-neutral model is used for 2 point control and the simultaneous control model is used for multi-circuit control. 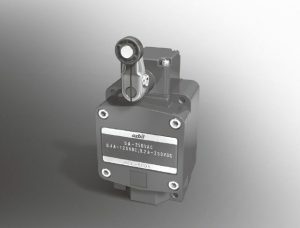 This an old school, big and heavy switch often used in control valve applications and tough environments.